The District of Columbia Office of Planning (OP) is in the process of revising the District’s zoning regulations. 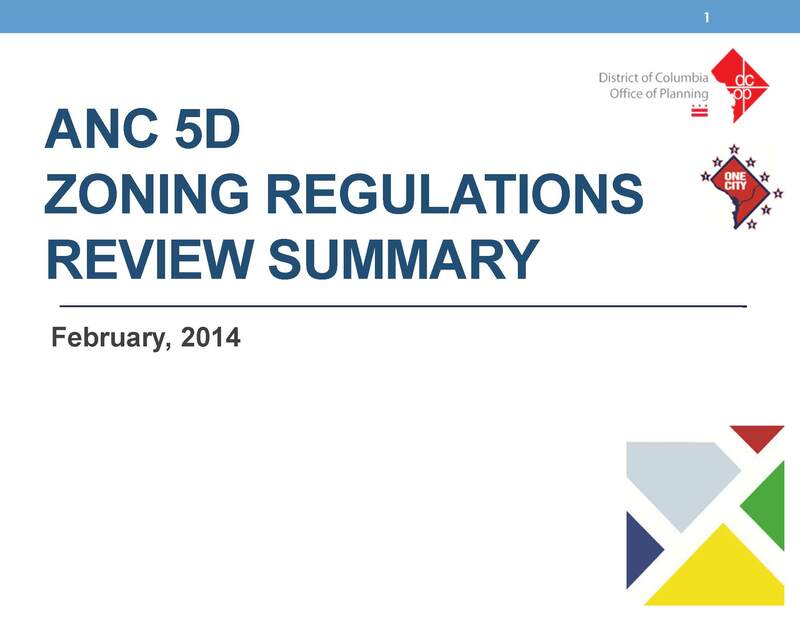 The OP has prepared a Zoning Regulation Review (ZRR) summary for ANC 5D; Trinidad is in ANC 5D. The proposed changes include: land use permissions; low density residential housing; parking; accessory apartments; alley lot housing; corner store; commercial zoning; industrial zoning; downtown; and campus / school plan proposed provisions. As announced during our March meeting, the Trinidad Neighborhood Association (TNA) plans to submit written testimony commenting on the ZRR as it applies to the Trinidad neighborhood, and we need your input. Because the final comments are due to the Board of Zoning on April 25, 2014, we ask that you please review the ANC 5D ZRR summary and submit your comments to trinidadneighborhood@gmail.com (Subject: ZRR) by April 10th, 2014. Based on your input we will draft written testimony, and submit the final draft to our members for their approval. 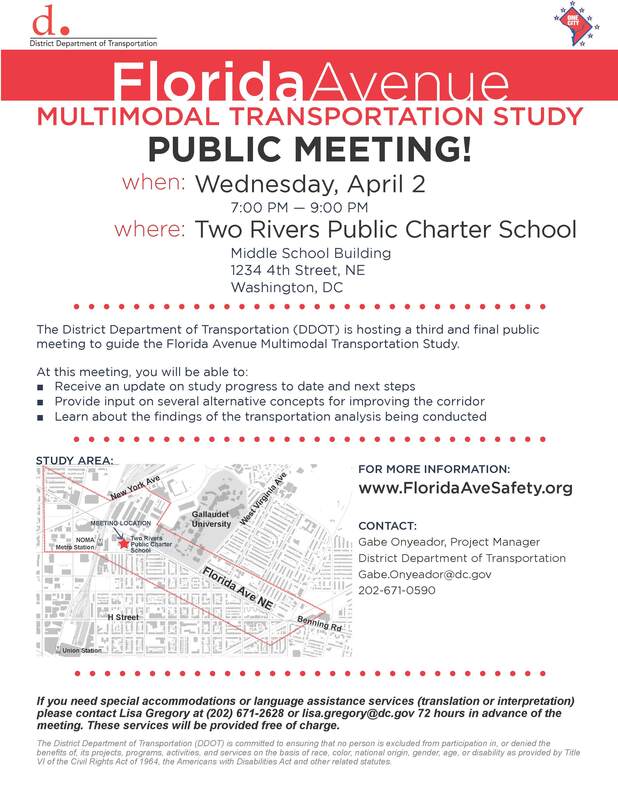 The District Department of Transportation (DDOT) is hosting a third and final public meeting to guide the Florida Avenue Multimodal Transportation Study. The District of Columbia Office of Planning has prepared a summary of the Zoning Regulation Review (ZRR) proposals as they specifically relate to each individual Advisory Neighborhood Commission (ANC). Trinidad is in ANC 5D. The proposed changes include: use permissions; low density residential; parking; accessory apartment; alley lot; corner store; commercial zoning; industrial zoning; downtown; and campus / school plan proposed provisions.